Jaydan Moore and Olivia Valentine were Fountainhead Fellows in the Craft & Material Studies Department at Virginia Commonwealth University (VCU) during the 2013-2014 academic year. They completed artists’ residencies, taught at the university, and their studio work culminated in a joint show at the Page Bond Gallery in Richmond, Virginia. Discussing their work is K.L.H. Wells, an art historian who joined VCU for the Spring 2014 semester as their first Postdoctoral Fellow in the History of Craft. She led a conversation between the two artists on April 22, 2014, an edited excerpt of which appears below. Figure 1: Olivia Valentine, 50mm Lens @ 22 ½ feet (State Street, Chicago), 2010-14. String and plexiglass, 101 x 212 in. Courtesy of the artist. Kay Wells: Before we get into some of the shared issues that your work raises, I want to briefly describe what’s on view at Page Bond right now (April 4 – 26, 2014). Olivia, you are showing three of your window pieces, in which you reconstruct a specific window or a particular view through a window with the delicate medium of bobbin lace (Figure 1). You are also showing your series Field Edgings, in which you’ve taken your own 4 x 6 photographs of landscapes and overlaid them with colored threads wound around pins (Figure 2). So while your work brings together fibers and photography, Jaydan, you are working with both metal and printmaking. Your Specimens series cuts and welds together antique silver-plated objects like platters and forks, and you’ve created prints by cutting away the frames and handles of certain platters, inking them like any printing plate, and running them through a press (Figure 3). Now, in your most recent work, you show us a series of prints in which the pattern of the silver plate slowly disappears, terminating in an embossment in which we see only the shape of the plate with none of its surface decoration. Sonya Clark, the Chair of the VCU Craft Department and a fiber artist herself, likes to think of your work as fiber art as well, since your prints show us the delicate lacey patterns of these silver plates. And since lacemaking was historically a women’s occupation, let’s start with the relationship that each of you see between your work and feminism. 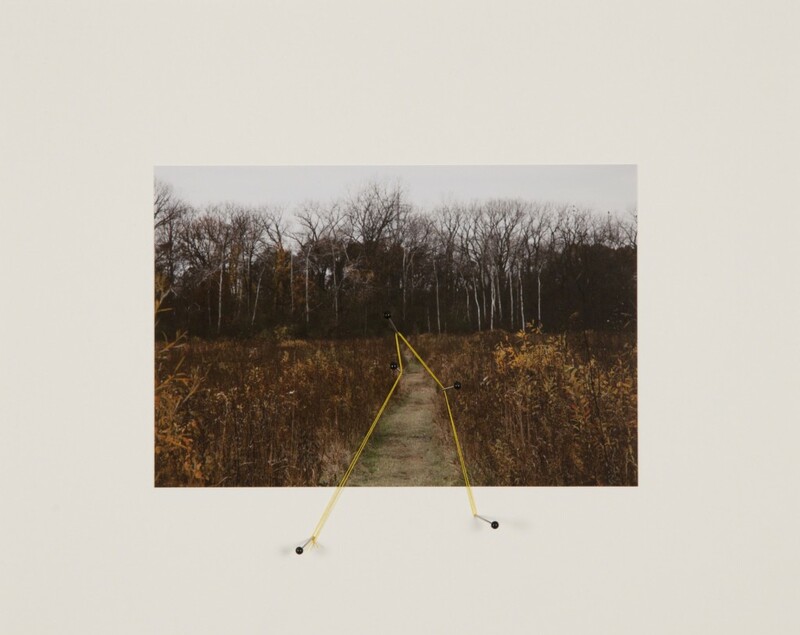 Figure 2: Olivia Valentine, Field Edging 10, 2012, 2012. Thread, sewing findings and photograph mounted on archival board, 8 x 10 in. Edition 2/3. Courtesy of the artist. Figure 3: Jaydan Moore, Wreath/Weave, 2013, 2013. Etching, 22 x 30 in. Courtesy of the artist, photographed by Kimberly Burgess. Olivia Valentine: Part of my interest in talking about feminism and gender relationships often has to do with shifts in scale. I’m working something that’s usually very small at a very large scale. And I think this is fundamental in some ways to the gendered reading of my work. I’ve certainly had men tell me that I should stay working small. 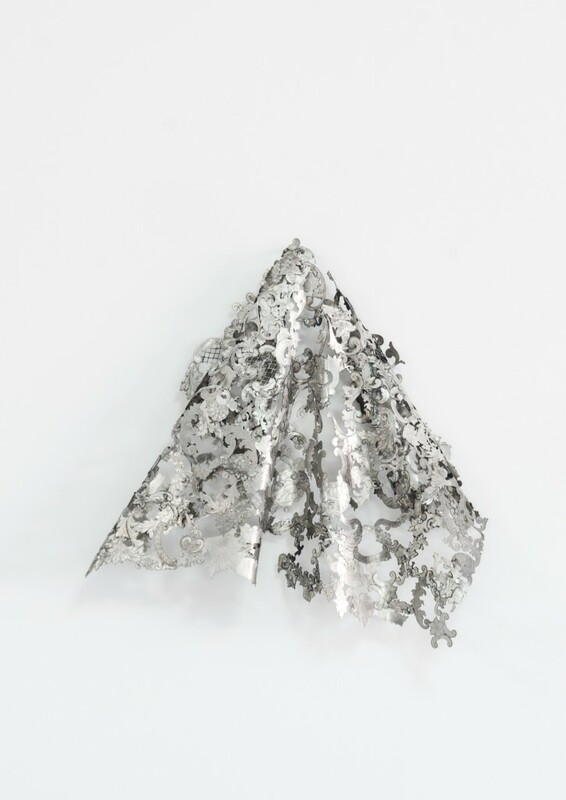 But Jaydan, […] thinking about this metal cloth that you’ve made Traces (2014) (Figure 4), working with the domestic object, I mean, these are things that are steeped in feminist art and feminist history? Jaydan Moore: You know it’s one of these funny things that I think about sometimes. I’m using this material that I just enjoy for how much it’s steeped in history, in the family, and how that commemorates moments, the everyday moment. But then I also always wonder, how would it be different if I was a woman making my work instead of a man making my work? 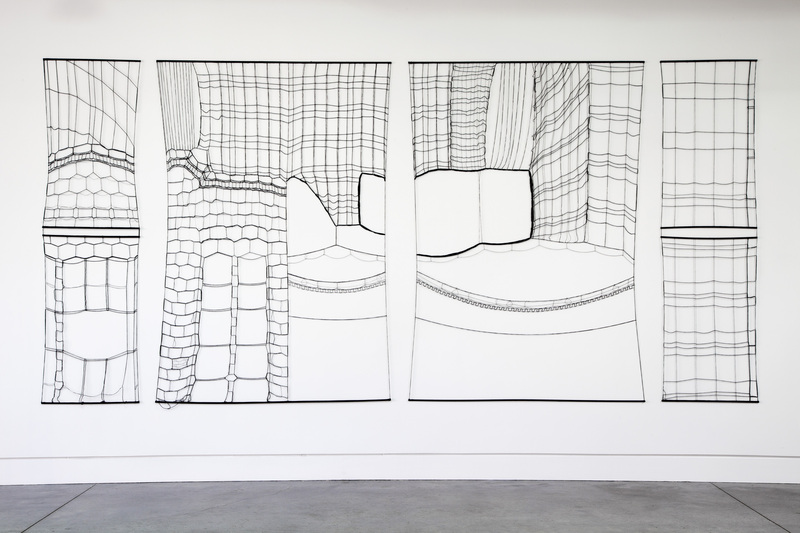 Figure 4: Jaydan Moore, Traces, 2014, 2014. Found silver plated patters, 24 x 24 x 6 in. Courtesy of the artist, photographed by Kimberly Burgess. OV: I think that that issue of the gender of the maker is still relevant, especially since in this post third-wave feminism – or whatever we might call our current situation – we are thinking about feminist theory. KW: For me the fact that you are a man probably makes me think more about the makers of these metal objects. You call attention to the once industrial scale of the production of these things, and the environmental waste of that. JM: Maybe that’s a good way to get into question of environmental consciousness. Do you think about that at all Olivia? OV: I always do. The environmental aspect of the materials I use, that’s not really my emphasis, but certainly ideas about portability and impact in the environment. All of my work is generally very low impact as far as the spaces that I’m going into. Even though I’m interested in site-specific installation, I haven’t sought to make permanent changes to spaces. OV: The ephemeral aspect of my work has always been important. And actually as I become more transient and more of a nomad the fact that my work takes up less and less room becomes more and more important to me. I think that’s my personal ecology, and by extension a more global ecology. Certainly in the work I was doing in Turkey a year ago, which is lightly represented here, I was very much thinking about that. My initial proposal for that work was to do site-specific landscape installations. And when I finally got out to into the land, the thought of bringing material into the land was horrifying to me, it seemed uninteresting and inappropriate. KW: So your goal is to keep the literal footprint of your work small and portable. Whereas, your work Jaydan seems to be about how hard it is to get rid of this stuff, these heirlooms that have created such a huge footprint. JM: Well I think we’re both interested in the ephemeral and memory, or for me at least, how memory changes and slowly evolves but also deletes. Looking at my work, especially with this new print series, it’s like watching some sort of imagery slowly delete itself and lose value over time. KW: Yes, that’s comforting in a way, that material objects don’t mean as much to us as we might assume. So these objects are actually more fragile than we might think. JM: They’re more fragile in the construction process. That’s the challenge. And I would love to high-temp solder these things but the nature of what I want to keep, the layer of hand use, the layer of the silver plate, that will all get deleted if I go any higher. There’s a situation where I think I’m looking at the material and trying to get the most out of it, so whatever pieces are left over from these plates becomes the cloth piece, Traces, or I have a huge pile of it back at home. KW: Jaydan, I am really struck by these new prints that you’ve done which are so, I don’t even know how to describe them, so thick, or they have such depth… In other words it doesn’t just seem like a two-dimensional representation, it’s really a three-dimensional object. JM: I think commemoration has been a major part of my interest in art making and in my life. Not to get too in depth but my family makes tombstones, so that commemoration of a person has been a major part of my history, and so I’ve always been interested in how to commemorate these objects and kind of value them to show their use, to commemorate their value through use. These aren’t things that are made out of fine silver like in the eighteenth century, but in a weird way they are commemorating those by reproducing them on a mass scale. The historical imagery that’s within them becomes more valued, and now with this new body of prints, I’m again trying to let that commemoration go a little bit too, by slowly deleting and dilapidating, sanding these materials down until they’re almost completely gone. KW: For the viewer of your work Olivia [there is a sense] that these things may refer to images; there is a pictorial quality to them. But I want to do more than look. I want to touch these things, and I want to think about how you touched them in order to make them. OV: The way my process works, though, is that I invest weeks if not months into creating a pattern based on a photograph or a drawing. I invest anywhere from a month to four months or six months working off of that pattern, and then I take it off. So the process has always been predominant for me. In many ways, I don’t necessarily care what comes off the other end. And maybe in that sense being an object maker for me is problematic. KW: Because you’re more of a process artist. OV: I’m very much so. KW: Well that’s an interesting way to think of the relationship of your work to craft. I’ve been talking to my students a lot this semester about how the process artists of the 1960s and 1970s have been theorized in terms of craft, how craft is often defined as being more concerned with process than with product. And it strikes me Jaydan that in your work, of course you’re kind of materializing that with these prints that slowly delete themselves; you’re putting the process on display […] On the one hand your process seems very clear and straightforward and then on the other hand it seems sort of magical. JM: Or convoluted. My only throw to how that might be happening is that it’s such a simple idea, of just cutting two things together and trying to make them fit perfectly. I think it’s something that we all have done on some scale. JM: Yeah, like a puzzle. And that’s pretty much what it is. So it’s really just a jigsaw pattern of going back and forth until they fit. OV: Well, that’s interesting. There’s an aspect of concealment that’s happening, maybe even throughout your work. JM: […] There’s a difference to each piece for me on process, and I think that’s maybe what gets to your point about where we show technique and skill. I don’t call myself a printmaker even though I do that for half of my work. That is a total process-driven project for me. Like, what will happen if I cut this plate, and I have to print it to see what happens. [My printing practices are] very process driven and I don’t really care what the final print looks like. Whereas the final product for the silver plates is much more important to me. KW: It’s interesting you say that you think of yourself as a metal smith rather than a printmaker, because historians think that European printmaking develops from gold smithing, specifically. KW: It’s just another way of working with metal. JM: I have long conversations with the printmaking teachers about oh, have you used this paper or have you used this ink, and I’m just like, ‘which one should I use? I just want to cut the plate, you know? [laughs] Like I’m looking at the plate, and as much as that’s an important part of printmaking for all of them, because they’re making an image and they’re invested in all the notions of printmaking whereas I’m focused on the plate. OV: My pieces are often about constructing a photograph. For me this history of being a photographer is a fundamental part of my identity. It’s a way I have made my living and has been a big part of my practice in the past. The photographic idea of making versus taking an image is important to me. […] Well Jaydan, I’m really curious about this aspect of you concealing your process. Actually the more we’re talking the more I’m realizing that you conceal a lot. Thinking about the history of contemporary art or art since 1950, why? Why are you concealing so much? JM: You know, I don’t know. KW: Well it’s about craftsmanship, the sense of guild secrets, right? He’s not going to give it all away. He’s a craftsman. JM: What do you think it is that I’m concealing? OV: Well you said the back of your plates holds a lot of information about how they’re made. But you don’t show us the back, and I think you do that pretty consciously. And this might be the purist in me talking, but the fact that you made a whole other plate for this embossment is also an illusion. JM: Yes, and that actually frustrates me. The purist in me is actually rather frustrated every time I see the embossments, because I’m just like, those aren’t real! [laughs] You know even though I took tracings of the first ones so it’s the exact same shape, but I feel the same way. KW: I want to ask you about the Anonymous Was a Woman series by Miriam Schapiro. She was highlighting that the makers of all these very finely crafted works in lace and crochet are anonymous, so I’m just wondering if that has resonance for your work, especially since once you print your silver plates, we can see how much their patterns resemble lace? JM: I guess the resonance is that I’m interested in being able to. With the plates, I’ve printed the same print a few times with different plates, so it’s the exact same platter, just from a different person, so a third, a fourth, a fifth. And that intrigues me because they all look different from how the use has changed and altered them. That’s where the platters started up, talking about sexuality. The platter series started, with this Mitosis piece (Figure 5). In that series, those are all the exact same platters, some of them have been chrome plated, you know, some of them are in editions. 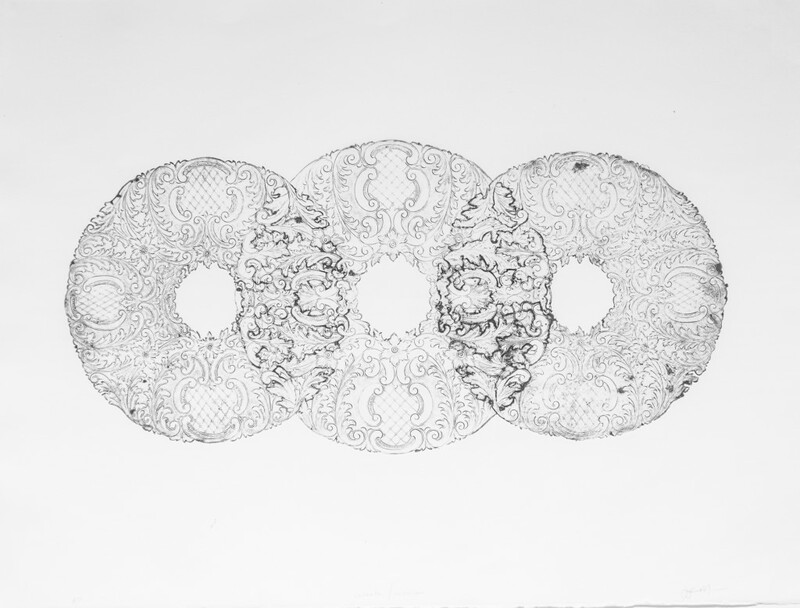 Figure 5: Jaydan Moore, Mitosis, 2013, 2013. Found silver plate platters, 10 x 119 x 1 in. Courtesy of the artist, photographed by Kimberly Burgess. KW: So you found that many different versions of the same platter. JM: I found that many, and there’s probably a thousand more out there, but they’ve all been used differently from each person that’s owned them. And that’s what’s intriguing me, that they look exactly the same when they come out on the production floor, and that, to get more broad, we all have this similarity in common, but then through how we use that similarity it becomes something completely different. KW: Right, in the sense that we all have this genetic likeness that then becomes expressed differently. I hate to end this conversation, but by way of a conclusion, I want to ask you both how you think this year at VCU has changed your practice? OV: For me, certainly being in a craft department is a very new thing. I know Jaydan has had a lot of history with that. I don’t. My graduate school program was not a part of that, necessarily, though we discussed the word craft quite a bit. And so that has presented some really interesting things for me, but also I would say a fair number of challenges as far as thinking about my approach to teaching and my approach to work and how that might differ from “the craftsman” shall we say, in reference to the discussion we had earlier. JM: I think it’s really interesting though that this is the first university where I’ve had some sort of craft delineation. Seeing how different universities deal with craft and deal with each other’s departments is really intriguing. VCU prides itself on having all the crafts delineated and connected together. But then sculpture and printmaking are separate entities, so where I went to grad school and undergrad, there maybe wasn’t as much of a connection between the fields of craft but there was much more mixing of sculpture, painting, photography. And that all has to do with architecture. At my grad school [UW-Madison], most of the studios were together except for ceramics and glass, which was off on a new campus, which wasn’t too far but it was this separation. Whereas here, it’s very funny that most of it’s in one building, but there’s this line of the levels, you know the floors. KW: Right, sculpture is on the bottom. Craft is in the middle. Painting and printmaking are on the top floor. JM: That is the weird thing to me. OV: To me that’s a really interesting thing too, because I did my undergrad at the Rhode Island School of Design, which is another approach to things, and they had this differentiation between the design and the fine arts, and I was in the fine arts part of the school. But even in all of the fine arts disciplines at RISD, because you were actually really embedded in the major as an undergrad you had to learn all of the craft of your medium in a pretty specific way. And in some ways I feel that actually the students at VCU in the craft department have a lot more fluidity and freedom to intermingle between the different areas in the department, between metals and fibers and glass. That raises curricular issues that are interesting and sometimes challenging, when you have students who come to fibers from all different places, but that’s been an interesting teaching challenge. OV: … or have a discussion. I think that discussion has really become personal to me because I do have this history as a photographer, but then I also do get praised for my level of skill that I come to with textiles. But it actually is not a skill that comes from training. I did not have a teacher in that way, I’m an autodidact with a lot of the textile techniques I utilize. This entry was posted in Articles, Uncategorized by Digital Editor. Bookmark the permalink.